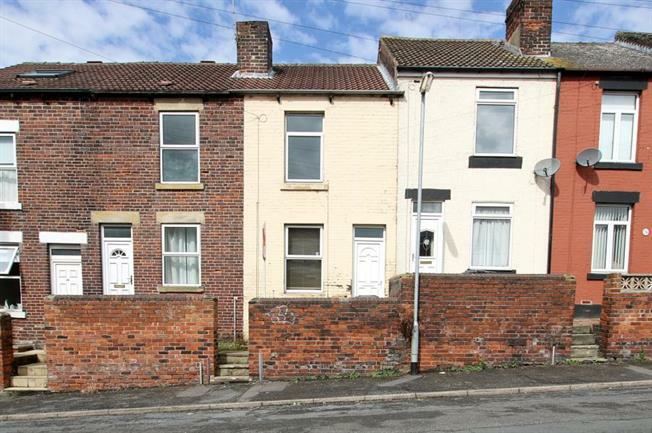 2 Bedroom Terraced House For Sale in South Yorkshire for Offers Over £50,000. Offered for sale with no chain is this two bedroom terrace property in the popular residential area of Kimberworth. The house offers gas central heating and double glazing and would be perfect for a first time buyer or buy to let investor. Briefly comprising: lounge, kitchen, two bedrooms a white suite family bathroom and a courtyard out the back.